If your device is running on CyanogenMod and you're are looking out for some cool and decent Themes for it's built-in theme chooser then this place is perfect for you. Note : These themes will work on any custom rom having “Theme Chooser”. Also when you apply any theme ignore the error ”the theme is missing assets of your device”just apply anyway. Flux is designed with pixel perfect precision to give your phone a completely new modern look and feel! With high quality graphics and full of features, you will enjoy using your phone. It is a colorful theme with some Holo stuff in it also it does not have any fancy themed assets. It has so many wallpapers which complements the theme and make your device more beautiful, Plain. Simple. Decent. Kreatur UI theme is just one gorgeous theme which supports more than Settings and icons themed. Theme is based on Bright Green Neon-ish color, you will see that color alot in the theme itself like in, Contacts App, Keyboard etc. There are many wallpapers included and gives you a flat look to your device. The developer is very determined for the app and keep fixing the bugs, taking requests etc. If you're looking for an Flat Bright Theme for you device, this theme is right for you. Gem Flat is a theme for those who want a flatter Android UI, it takes holoyolo to another level. This is done by using the Theme Chooser Engine available in most custom ROMs. Gem Flat is a simple and clean theme influenced by today's modern, 2-dimensional designs. With this theme, you will find a high quality look with an attention to detail. Gem Flat is mostly based on Bright Blue color which looks very nice on your device and does support wallpapers. DjDarkknight is the developer of this beast this beast theme. 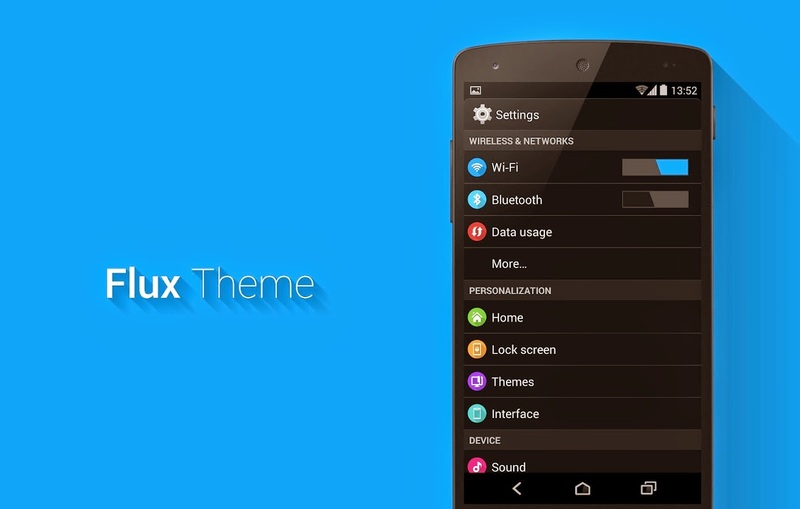 This theme utilizes the new theme chooser in Cyanogen Mod. You will have to be running a custom rom. 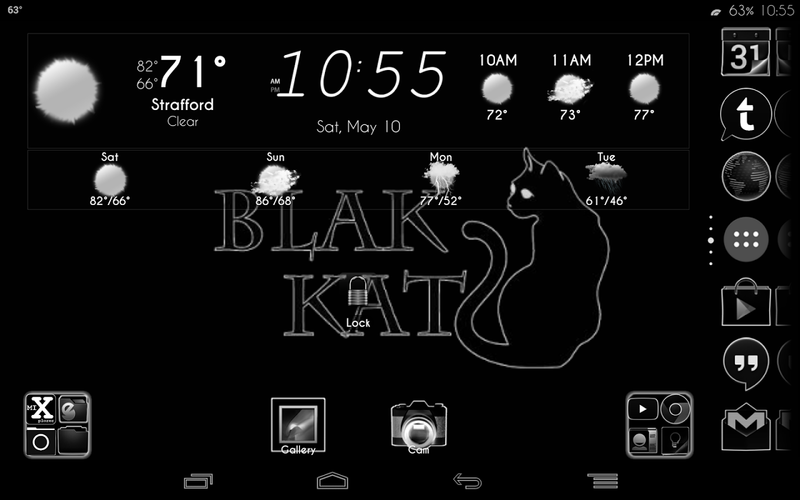 BlakKat is a dark theme. Everything here is inverted. All light elements have been converted to dark. Settings, Notifications, icons, navigation, widgets, apps, and more have been themed. 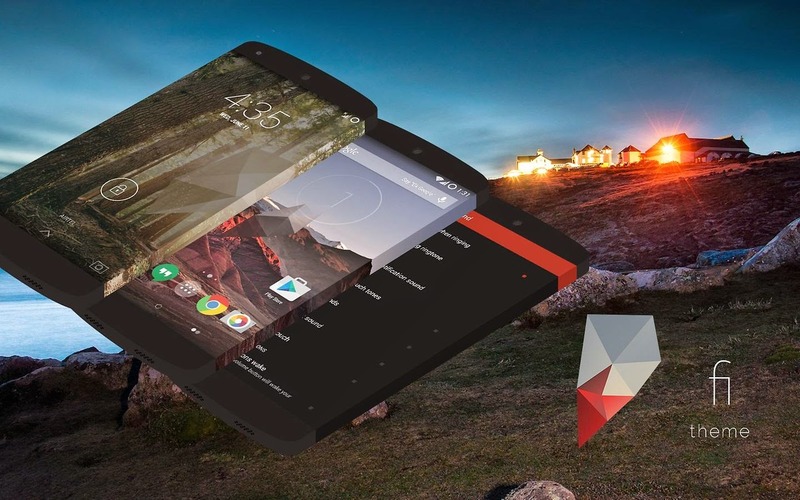 This theme is like full of dark jet black assets, the main feature of this theme is it is fully inverted even apps like Google Now, Gallery etc. Facade Interface (Fi) is a one of a kind theme which follows a Flat UI Design Language. Fi is made to provide you a great user experience. What makes Fi unique is that Fi's main theme color (Initial Release: Carroty-Red) would keep changing every month through a theme update which would keep things exciting, stopping you from getting bored of your phone.